Our standard Children’s Chocolate Workshop is the heart and soul of The Cocoabean Company. 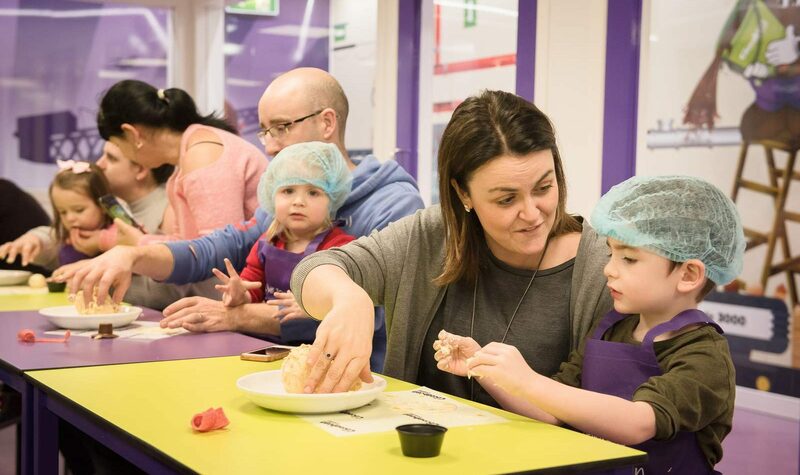 In this 35 – 45 minute interactive experience, your little chocolatiers will make and decorate three chocolatey creations that are theirs to keep, assisted by our fantastic workshop team. This workshop is suitable for children aged 3 and above (approx.) but every child is different so this is only a guide. Adults are not permitted into the workshop but can watch all the fun through our viewing windows. Scroll down for pricing and availability information. Beanie Tots is a 30 minute (approx.) session for children aged 4 and under, where an adult can assist and join in the messy fun too. Includes one item to make and take home plus an element of chocolate messy play. Available Mon-Fri during term time only. Who says children get to have all the fun? We run adult only chocolate workshops throughout the year plus we can also cater for birthday’s, hen parties or any other special event. Contact us for more for more information! Bring the whole family together to take part in the chocolate making fun! Look out for special workshops across the year or get in touch to arrange your own Family Workshop. 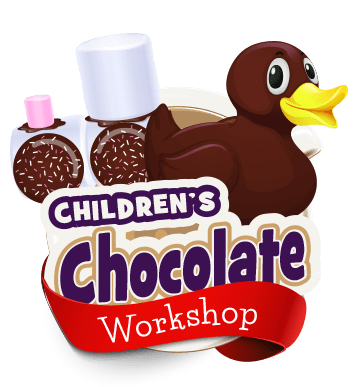 This workshop is based on our standard chocolate workshop but takes place in a smaller room and quieter environment, where a parent/guardian or other responsible adult can assist should it be required. Please contact us for more information or to book one of our special workshops! *Excluding special events and workshops. Please note: Entry prices may vary during special events. In adverse weather condtions the outdoor play area may be closed for safety reasons. We don’t currently take bookings for our standard Children’s Chocolate Workshop – it runs all day, every day with a large capacity so simply come along and join in the fun! However we often run special events and workshops which can be booked in advance. View our Events page to see what’s coming up! We are open every day from 9am – 5pm. The Children’s Chocolate Workshop runs every day, starting at 10.30am with last workshop at 4pm approx. during weekends, holidays and bank holidays. During term time, workshops run between 11am – 3pm approx. View our Find us page for detailed directions.